You Can Apply To Your Life AND Business for INSANE RESULTS Starting TODAY! The GOAL JUICE Method is BY FAR the simplest and fastest path to achieving extraordinary results in your life while eliminating unnecessary frustration, overwhelm and stress forever. The Goal Juice Method is a powerful 30 day online video-based training program created by #1 bestselling author and empowerment coach, Tom Terwilliger designed to have you strategically and systematically achieving bigger and BIGGER goals and objectives in less time and with less stress and overwhelm than you ever thought possible. even if you THINK you've already tried absolutely everything! or...if you're starting from the lowest point possible…like I did! Contained in the private member only online site, the GOAL JUICE training consists of easy-to-follow videos, done-for-you templates, swipe files and resource lists. MP3 downloads are also available to students who would like to continue the training offline. Plus, you’re a GOAL JUICER for life. You can retake the program as often as you like, for as long as the program exists. Nor is Goal juice some magic pill or panacea that promises silly, unattainable or completely outrageous results. Goal Juice is not a substitute for REAL ACTION… it will however empower and help focus and direct your actions towards what really matters in your life. Stop waiting for motivation or inspiration to strike before taking action. The clear difference between massively successful people and everyone else...successful people set a schedule and stick to it. Everyone else waits until they magically feel inspired or motivated before taking action. Take massive action toward the success you desire by learning and sticking with an effective systems for getting things done. It all starts by taking the first step... in the right direction. Only ACTIONS give life strength! First, we’ll set the context for the training and get clear on what has held you back in the past. There are 4 Inner Saboteurs that will try to keep you from succeeding, which to them represents their greatest fear – CHANGE! One or all four of these Saboteurs has been your greatest nemesis. You’ll learn to identify your 4 Inner Saboteurs, clamp down on the ring leaders and stop them before they continue to destroy your ability to succeed and live life at it absolute peak. What you want will not simply manifest out of thin air… there is a flow with many tributaries leading to abundance. Once you understand the process you can learn to identify where in that process the back up or blockage is taking place and how to clear it. In module 2, You’ll learn about the flow of manifestation and how to use it to create what you want. You’ll also finally unravel the mystery of what’s behind those self imposed limitations that continue to blur your ambition and short change your personal beleife in your ability to take life by the balls. We all experience doubts, fears and uncertainties especially when taking on new and challenging experiences and goals. In module 3, you’ll learn how to re-frame your doubts, fears and uncertainties along with the decisions you’ve made in the past that no longer serve you and actually turn them into leverage for taking massive results producing action. In this module you will also clear the dense, blinding smoke screen and finally get absolutely, 100% crystal clear about WHAT it is you want and must achieve. In Module 4, you’ll find your empowering and unstoppable motivation – the WHY that will carry you over, under, around, or through any and all obstacles that stand between you and what you now know you want. You’ll learn and apply all the RULES and master The Science of Achievement and the ability to apply it in any area of your life for massive success. You’ll also learn to recognize the RULES you have been breaking and why doing so is keeping you from achieving your dreams… and a whole lot more. (Go ahead... check out the member's area. Who Will Benefit From The GOAL JUICE Method? The GOAL JUICE methodology is for men and women who are ready to stop hoping and waiting for a "miracle" to come along and finally want to start experiencing real, tangible and reproducible results. been experiencing for way too long...THIS TRAINING PROGRAM IS FOR YOU! If you’re ready to end the struggle and finally get on a proven reproducible path to achieving your limitless potential then this training program is for you. All you need to do is TAKE ACTION RIGHT NOW. GOAL JUICE is designed to turn your life and your business into a force for good that fuels higher profits and your higher purpose. Get your life in order and accomplish BIG. It's time to take it to the next level! I got tired of being an 'also-ran.' 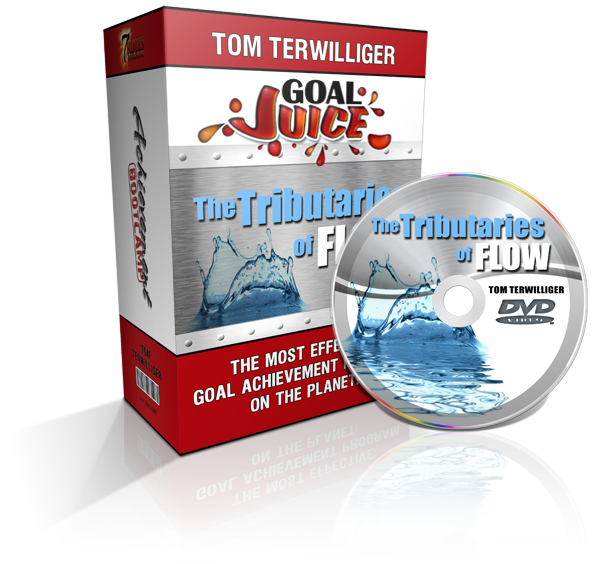 Once I put the same methods used in the Goal Juice program to work for me, I quickly moved to the front of the pack. Tom’s Goal Juice program is not about reading, contemplating or even talking about improvement, it’s about action, doing and the changes that occur both inside and out as a result. Nothing worth while has ever been achieved without the courage and confidence to take the first step. If you want something awesome to happen in your life you have to make it happen. Terwilliger’s love for people and his desire to help them succeed is evident throughout - along with the tools needed to do it. 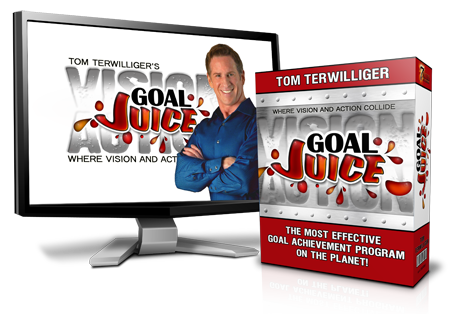 After working with Tom and having experienced his skills as a coach, there was no doubt in my mind that the Goal Juice Method would change lives. It certainly changed mine. 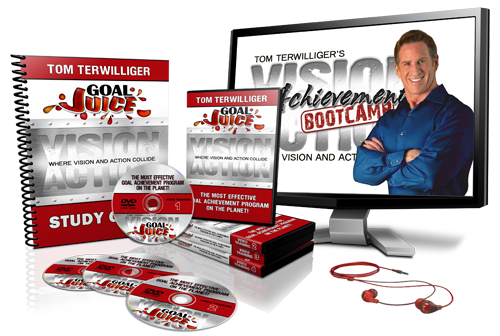 Tom helped me uncover the hidden subconscious saboteurs that where standing between me and my ultimate success. Through his actions, Tom has proven the Goal Juice Method and has made it his passion to teach it to others. P.S. 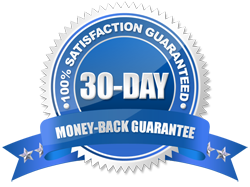 My 100% 30 day guarantee: Before you go ahead and make your decision to try the program I want you to know that if for any reason (any reason at all) you’re less than 100% satisfied with your results I will immediately refund every penny of your investment no questions asked. That’s my 100% guarantee to you. P.P.S. Or you could do what most people do (like I used to do) when faced with a power decision like this and put it off... you know, for "a few more days or a week or so”...which turns into months... even years. I learned the hard way that putting off taking action when you know action is required only serves to weaken your ability to achieve what you really want. Remember if you’re not 100% satisfied you have absolutely nothing to lose by making this decision.